The bike’s coaster brake is paired with a two-speed internal SRAM hub that shifts automatically. 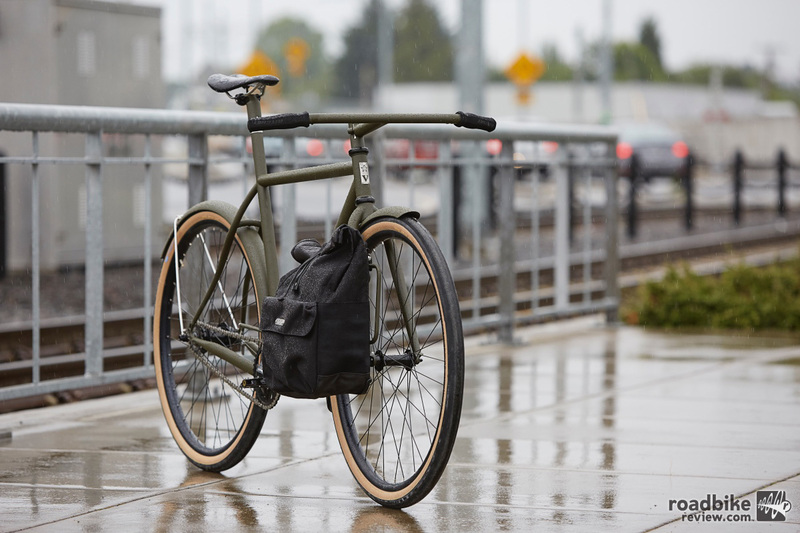 First introduced in 2015, Speedvagen’s Urban Racer aimed to change the idea of what a commuter bike or grocery getter could be. Lightweight and durable with a race pedigree, it’s equipped with a coaster brake, internal 2-speed hub, and 42mm tires sitting on 650b wheels. Needless to say, owning a Speedvagen Urban Racer was not a particularly responsible decision, but that’s sort of the point. 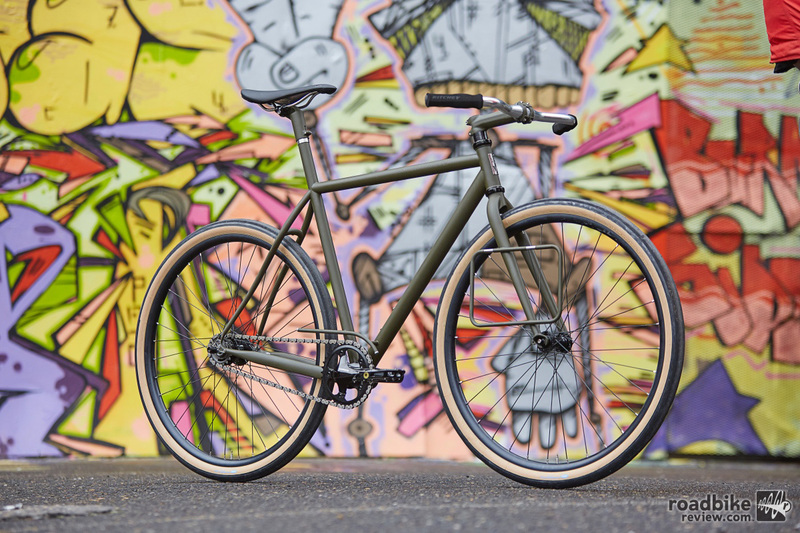 Now, though, the Urban Racer is part of Speedvagen’s Ready Made program, meaning owning one just got a little easier. Press play to learn more. By offering standard tube sizes and stock-sized frames built with the same materials and to the same standards as their custom builds, Speedvagen’s Ready Made program is able to create efficiencies that drop the price about $2000 for a complete build. Here’s a rundown of key details of this just launched bike. Berzerker Dropouts: Their lightest and smartest to date, the Berzerker dropout is cast from a strong steel alloy and incorporates stainless steel inner and outer faces. The use of dual materials means that they get the strength of the base metal and the protection from wear and tear offered by raw stainless. Chain Guard: Each detail on the Urban Racer has been conceived and designed to minimize clutter and maximize fun. The design is made from super light stainless steel and it has a svelte chain guard. Each length of every Speedvagen seatmast is finished specifically for its owner, and features 15mm of adjustment. 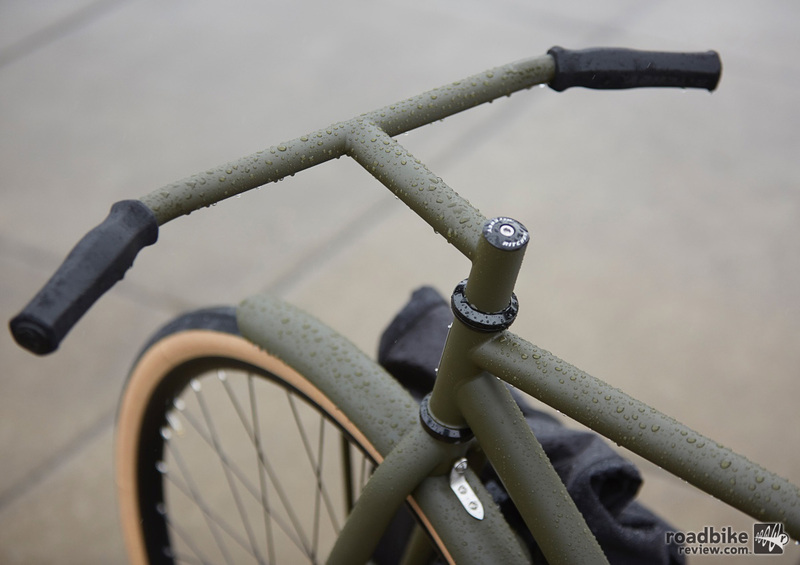 Coaster Brake: The coaster brake on the Urban Racer for it’s utter simplicity and it’s complete skidability. It’s paired with a two-speed internal SRAM hub that shifts automatically, for a return to simpler and slightly sketchier fun. 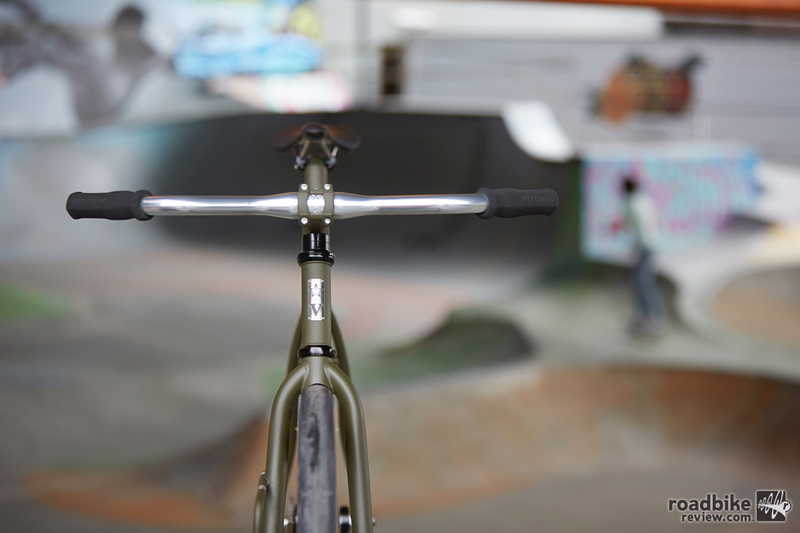 Integrated Seat Mast: The integrated seatmast makes for beautiful lines. There are a couple of things that are unique to our bikes. Each length of every Speedvagen seatmast is finished specifically for its owner, and features 15mm of adjustment. This bike is designed to bring out the kid in its rider. For more info head to www.thevanillaworkshop.com.